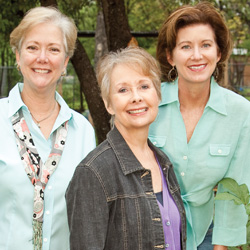 Four Entrepreneurs Shaping San Antonio’s Home Interiors Business. Striking out on your own in business is scary and exciting. What does it take to make it a success? We asked four of the leading entrepreneurs in San Antonio’s home interiors arena how they got their start. These women are not only established names in shaping unique aspects of home environments but also share common themes about how they made their enterprising dreams come true. Learning the business, getting help from mentors, leaning on family and friends to shape their team, and embracing trends came up time and again. Key to their success were their passion and creativity for good design, a strong work ethic, maintaining relationships and knowing it is never too late to begin anew. Featured in this story are Christi Palmer of Palmer Todd, Sandra Yedor of Lili Alessandra, Becky Compton of Compton Lamps & Shades and Casey Roy of Casey Roy Design and waghaus. Christi Palmer is celebrating a 20th birthday of sorts this year. This one is for her business, Palmer Todd. Established Feb. 16, 1995, her namesake business was launched when Christi Palmer embarked on a new phase of her career, this time as entrepreneur/new business owner for the company she owns today. 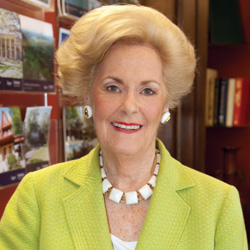 Palmer had always planned to be a designer and embarked on her career immediately after attending the University of North Texas. The university was considered to be one of the best schools in the country at that time for their interior design program. In the early ‘80s, she met and married her husband and returned to San Antonio, where they were both born and raised. Palmer decided, after giving birth to her son, to take some time off to raise him. When she was ready to return to work, commercial space planning positions were still difficult to come by. That is when Palmer struck the bond that would ultimately pave the way for her success today. Her business has shifted and grown over the years to become the team of 12 expert associates that it is today. Much of this growth is attributed to the collaborative efforts of trusted family members as well as employees she considers to be her family. “I love my team. They are an amazing group of dedicated people that work here. Palmer Todd was built on the foundation of great teamwork and collaboration,” says Palmer. “Successful businesses are about the team. It’s about the people. “Now, 20 years later, we are the Palmer Todd you see today. We started out very small, one project here and there, but grew into the firm we are today because of our attention to detail and dedication to the clients we serve. As my clients have acquired additional homes in multiple locations, I now find myself traveling domestically and internationally to continue working with them,” says Palmer. Palmer plays tennis competitively and participates in tournament fishing with her husband and son. They are engaged in these activities almost every weekend. “I’ll never retire. I may work less and play harder, but I will never completely let go of it all. I wake up running at full speed and am frequently ribbed by my employees as to what level of hurricane I will show up as for the day,” she says. Sandra Hernandez Yedor is the founder and owner of the award-winning home textile brand of linens that bears the name Lili Alessandra — Lili for her mother and Alessandra, the Italian version of Sandra. Lili Alessandra makes fine linens for the home with an artistic flair, including handcrafted work like appliqués, embroidery and beading that embellish her finely handcrafted linens. Recently, Lili Alessandra was honored with a coveted national award by the Home Furnishings Industry, Home Textile Manufacturer of the Year. 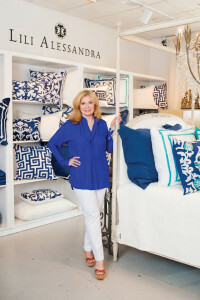 Four home textile companies were nominated nationally, and her business won. 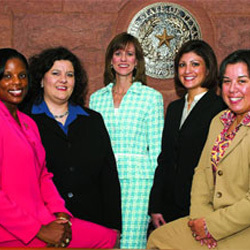 Hernandez Yedor was born and raised in San Antonio. She took a position in Houston with Foley’s Department Stores after graduating from St. Mary’s University. She worked with Foley’s for nearly 15 years, ultimately becoming store manager. 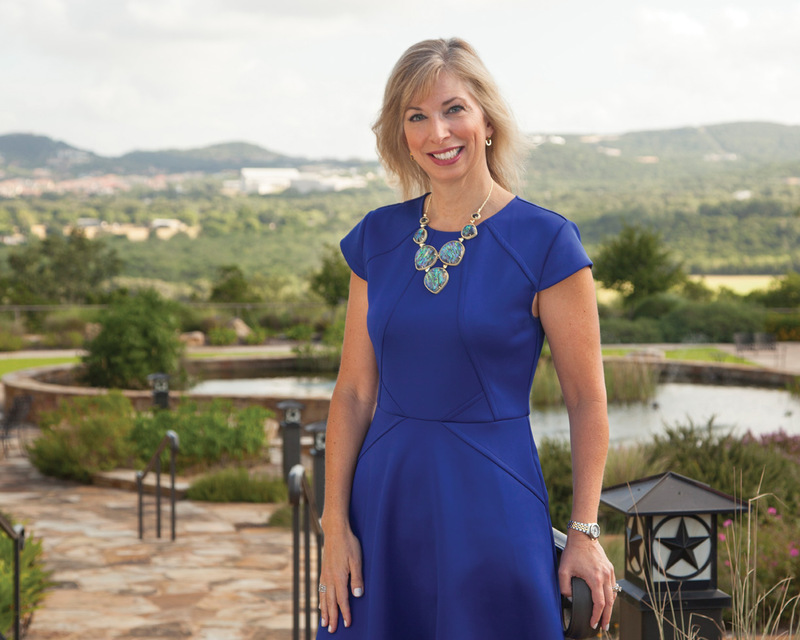 Her next significant position in retail took place when she moved to Dallas to become assistant general manager with Saks Fifth Avenue, eventually becoming the general manager at Saks Fifth Avenue in San Antonio. After 17 years away, she was finally back home. Hernandez Yedor was persuaded to leave retail to become vice president and later president of Duty Free Americas where she was responsible for developing, enhancing and managing the company’s many stores along the border with Mexico, adding yet another skill set to her already feathered professional cap. She stayed until the company was sold. That is when Hernandez Yedor found herself at a point in life where she didn’t know in which direction her career would go. While she did not have a specific objective in mind, she was eager to do something new and challenging. Married for 36 years, Compton welcomes her attorney husband, Matt, who comes to help her at the shop with repairs in the evening. He ran the store for the first few years. When he went to law school, she took over operations of the store. Considered a small mom-and-pop shop, Compton’s Lamps & Shades has eight people on staff with three on site at any given time. 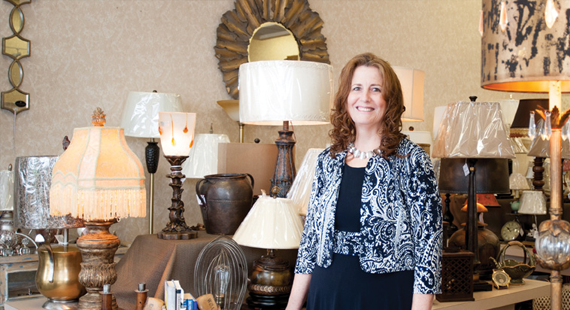 “We love that a customer can find a lot of history in our shop, unique lamps and wonderful customer service. We encourage people to frequent smaller boutique stores,” says Compton. Prior to hiring their store manager, Compton spent most of her hours working within the store and on related business issues. “With the new manager, we are now able to enjoy more time with family and grandbabies, keeping active in our LDS church community, doing family history research, and gardening a bit more. I am actively involved in the store operations and day-to-day store activities. My heart is here, but I have no issue keeping life in perspective,” explains Compton. Compton especially enjoys seeing the transition in lamp trends. 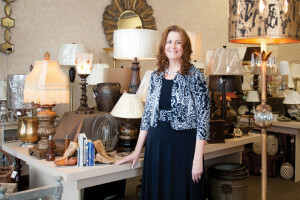 “We have a wide variety of traditional and transitional lamps in stock, but also look for pieces that we can make into one-of-a-kind lamps,” she says. She is enthusiastic about a trend she finds especially exciting — the new LED light evolution. “Because LEDs emit almost no heat or ultra-violet rays, our stylish lamp shades will last for years. Shades often need to be updated even when they are still in good shape, like a dress out of style,” she explains. Drums are back in style and very popular. Other textures, including linen, leather, cottons and unconventional ones like textured cork, are making their way onto Compton’s floor. Casey Roy is the owner of not one but four different businesses — Casey Roy Design (CRD), waghaus and the newly launched Citrine Home and FRAMED. Every design detail excites her. She thrives on the vibe of what they are doing: “I’m a sucker for creation. It fuels me.” Roy started her career in Dallas, where she was born and raised, after graduating from Texas A&M University. After working in Charlotte, N.C., for a brief time, Roy landed in San Antonio with Baxter Design Group in the fall of 2004. Roy has always loved fabrics and interior design. She loves good classic design principles. It was with this passion that she made the entrepreneurial leap and started her namesake interior design company, Casey Roy Design, in September 2011. Like many women who go out on their own, her storefront was her two-bedroom bungalow home, and her mom and loyal staff supported her. Outgrowing that space, Roy established Casey Roy Design and waghaus on McCullough in March of 2012 after renovating the space. “I wanted it to be a canvas for style. It’s a backdrop for what clients can do,” she says. Roy asked her mother to come manage resources and vendors. She has worked with her mom for the last several years and says, “My mom is a very strong woman, and that is probably where I get my drive. She has always worked and supported my sister and me through college, so I respect and admire her drive and ambition. She gave me the foundation from which to work.” The company is staffed by a talented group of women, all of whom Roy calls her heroes. She wants it to stay small and connected to clients. “There is not one person in the office who isn’t involved with day- to-day client work. That’s the best collaborative way to get results,” she says, proud of her team’s talent, dedication and enthusiasm.. As proprietor of waghaus, Roy gives us insight as to how she named her business. She explains that San Antonio has a huge stray animal problem. When she stumbled on SNIPSA (Spay, Neuter, Inject, Protect of San Antonio) five years ago, she signed up to be a foster parent for dogs, and the next day she received a call to serve as a foster. She was hooked. She could see the difference it was making in the animal’s life and the families’ lives that received the dogs. Naturally, as a foster parent, she had numerous crates and kennels in her home, and she wanted to substitute something beautiful. The business concept for waghaus is stylish living for the privileged pet. A custom-designed doghouse that is created for the individual’s interior space, a waghaus takes the place of a crate or kennel. Each one is appointed and styled to complement the patron’s home. A percentage of each waghaus sale goes to an animal rescue group of the client’s choice. Roy’s next goal is growing waghaus. One day she wants to personally deliver waghauses to clients across the country.